Just wanted to share this article from Marie Claire on Facebook relationship statuses. I don’t list mine, but for some reason the writer seems to think it’s because I want to play the field or keep my options open. No, I am simply more private about my relationships. Marie Claire: At What Point Should He Call You His Girlfriend? If I am in a wonderful, happy relationship, my friends will know it anyway. I either talk to them enough that they know what I’ve been up to, or they can see status updates or pictures of me and my boyfriend and make their own conclusions. And if I have to go through a breakup, the last thing I want to do is broadcast my heartbreak on Facebook. My good friends will know what I’m going through, and I’d prefer if my “Facebook friends” were kept out of the loop. Yes, support and kind words are nice, but I don’t really want all of that attention. This goes along with the column I posted two weeks ago “Modern technology is making me psycho.” Facebook is indeed making us crazy. With everything else we have to worry about, wondering why a guy hasn’t changed his status to “In a Relationship” just adds more stress and paranoia. Don’t let Facebook define your relationship. You should be doing that offline with your boyfriend/girlfriend… or whatever you want to call him/her. This entry was posted in For Your Reference (recommended articles, sites, etc. 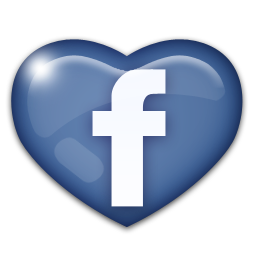 ), Love and tagged facebook, love, marie claire, relationships, technology. Bookmark the permalink.